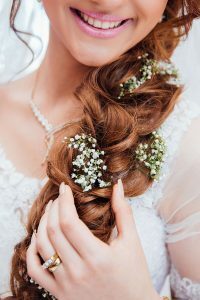 After picking out your wedding dress and finalizing other wedding plans, you need to start planning your wedding hairstyle. While this may not be the first thing on your mind while planning your wedding, it certainly is an important part of creating your perfect wedding day look! When choosing your bridal hairstyle, there are several things you need to think about. Choosing your bridal hairstyle is not as simple as you may assume. You want your hair to look perfect and match the rest of your wedding day look. If you have no idea how to choose your wedding day hair, our team can help. 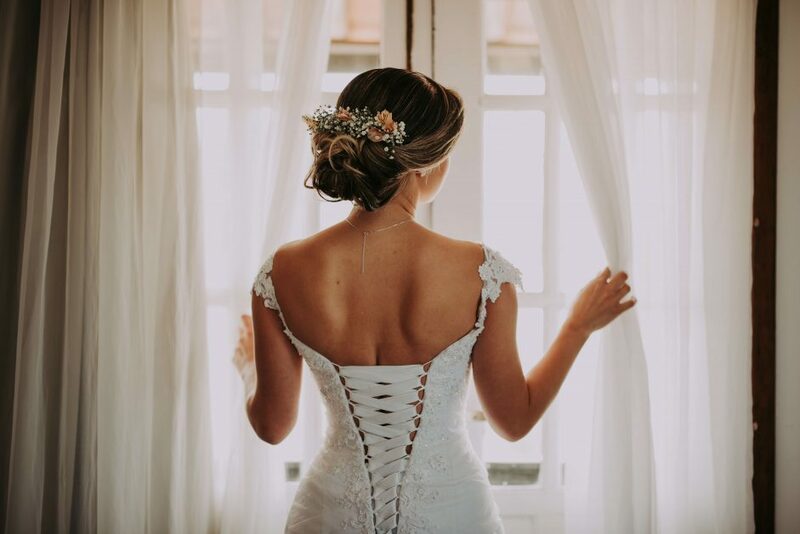 The Hair Company by The Skin & Body Spa offers bridal hairstyle services to help give you the look you want on your special day. In this blog, we will talk about how to choose the right bridal hairstyle. Read on to learn more! 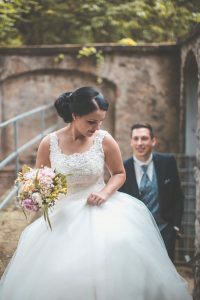 While you can make any hairstyle work with the neckline and style of your wedding dress, there are some things you may want to consider before choosing a hairstyle. If you have a strapless dress or a dress with a low cut back, will an updo make your feel uncomfortable since so much skin will be visible? Is a high neck dress and a down-do going to make you feel slightly suffocated? You want to be as comfortable as possible when it comes to your wedding day and dress style. When you are trying out different styles or planning which style you want, be sure to think about your dress style and what will make you feel the most comfortable. What time of year are you getting married and will you be inside or outside? If you are getting married in the middle of summer at an outside venue, you may get very hot, especially since all eyes will be on you, (some people get nervous being the center of attention). This means you may want to consider an updo, allowing you to stay cooler and allow your neck to be exposed to a nice breeze. Just make sure you wear sunscreen! When you pick a hairstyle for your wedding, make sure it fits your personal style. This will help you feel comfortable and the most like yourself during your big day. Wearing a big fancy dress and a ton of makeup may make you feel a bit out of place as it is, which means you should make sure to pick a hairstyle that feels right for you. If you are a simple girl with a boho style, some loose braids may be the perfect choice. If you have an elegant side, a sophisticated and sleek updo could match your style perfectly. When it comes to picking your bridal hairstyle, these are a few things to keep in mind. But no matter what kind of style you are looking for, The Hair Company by The Skin & Body Spa will be able to create the perfect look for you! Contact us to schedule your bridal hair appointment today.